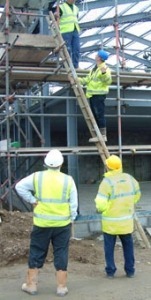 The majority of construction projects require the appointment of a CDM coordinator in accordance with the Construction (Design and Management) Regulations 2007 (CDM Regs). pdp Green are able to provide CDM Coordinators qualified and registered with the Association for Project Safety. Facilitate the co-operation of the design team. Prepair pre-tender information to ensure providing the right information to the right people at the right time. Encourage and promote Design Risk Management arrangements and Health and Safety integration.